Suunto just released a bunch of smart watches! You know, a murder is a flock of crows… I figure it applies to describe a flock of smart watches that doesn’t really make sense. At their home page, Suunto just released a huge group of new semi-smart watches that are for those that care about fashion – much more than a simple bright blue Ambit3 Sport. It’s funny how all the sudden Suunto, and some other watch makers are creating new designer style watches to respond to Apple’s Watch which will be released in April. Is the new Suunto line fashion or function? Or both? So, what do you think? Oh, wait. I was overwhelmed by the beauty… I forgot to mention function. They have a barometric altimeter, compass, measure outdoor temperature and sense storms on the way. They are waterproof to 30 meters. They do not have GPS or Heart Rate Monitor. So, they look great, but they are not really for athletes that need the essentials. So yeah, you probably are not going to buy one. I think Suunto is trying to expand its market here. It’s a bold move considering this watch is not such a smart watch, it’s more of a fashionable survival watch or something. I don’t know what the demographic is that they’re targeting. Athletes won’t buy these to wear while they’re not wearing their Ambit3 or Ambit4 watches. I couldn’t see packing two watches when I travel. I absolutely love my Ambit2 R GPS – heart rate monitor watch. I will likely buy another Suunto within the next year, maybe the Ambit4 will hit the streets this year? Here’s one of the pages revealing the new Suunto Essentials Collection at the official Suunto site – Suunto Essential Copper (click). What do you think? 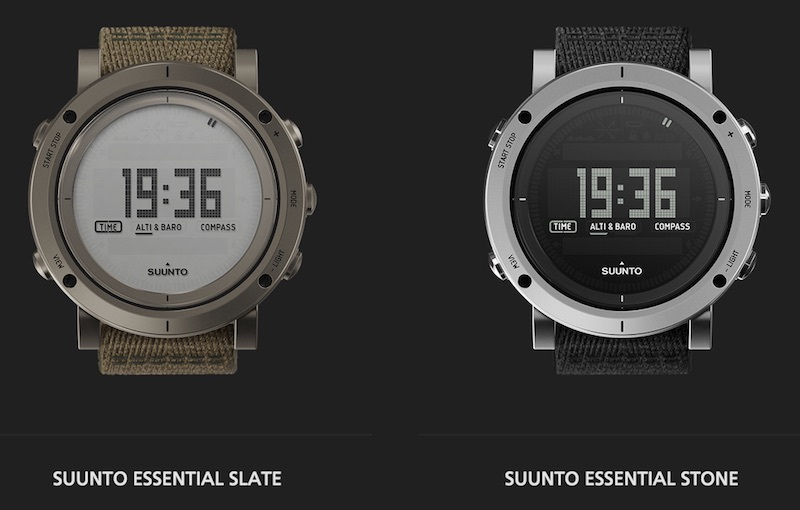 Would you buy one of these new Suunto Essential Collection watches? Or, just get Garmin… that’s what I’m doing as soon as this Suunto falls apart for good.